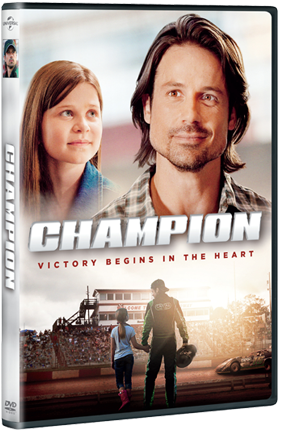 With showtime purchases and large-group gatherings, churches, ministries, businesses, and schools maximized the impact of CHAMPION when it played in theaters. Now these groups and others can make the most of the film by hosting CHAMPION Movie Events. Order your official Site License from Outreach Ministries today and host your CHAMPION Movie Event this weekend! Since DVDs are only licensed for home or personal viewing, a site license is required to show movies to your church, school, ministry, or organization. In order to host group showings of CHAMPION, you will need to purchase an official Site License. Please note: site licenses are not available for in-theater showings and umbrella license programs (such as CVLI) do not apply to films like this.